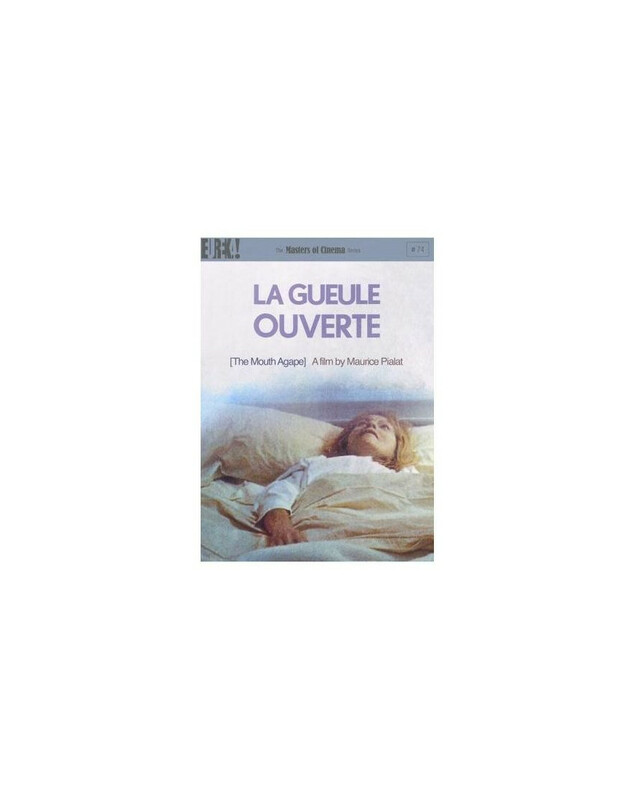 Few filmmakers could rival Maurice Pialat's facility for transforming autobiographical material into the stuff of Art, and his third featurefilm, La Gueule ouverte [The Mouth Agape], stands as one of the director's most intensely personal - and most lacerating - works. It is a film about illness: a condition of the body, and a name for the capacity to injure the ones who love us most. Monique Mélinand (a star of several of Raúl Ruíz's '90s works, and of Jacques Rivette's Jeanne la pucelle) portrays a woman in the late stages of terminal illness. She - and her prone body - become the locus around which gather her son Philippe (Truffaut-veteran Philippe Léotard), his wife Nathalie (French screen icon Nathalie Baye, in one of her earliest roles), and Monique's husband Roger (Hubert Deschamps, of Pialat's early short Janine, and Louis Malle's Zazie dans le métro). In short order, Monique recedes into the background of Philippe's and Roger's network of respective adulteries. But as the final, crushingly eloquent succession of shots starts to unreel, we are once more reminded that, in the work of Maurice Pialat, that which seems absent ultimately makes its presence felt with terrible force. The Masters of Cinema Series is proud to present Maurice Pialat's astonishing feature-length masterwork La Gueule ouverte, accompanied by nine Pialat shorts - three narrative works from the earliest part of the director's career, and the six poetic essay-documentaries he shot in Turkey in the early '60s - which alone total over two hours in length.